New Delhi: The future of management education worldwide is changing with the changing demands and an unrivalled level of the disruptive business environment in the wake of ‘Industry 4.0’. Add to that, the tectonic shifts in the way new generation MBA aspirants seek learning as relevant knowledge, impactful and significant in job market and equip them for facing professional challenges. 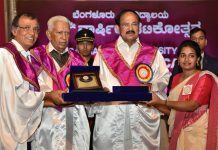 Vice President of India, Hon’ble M. Venkaiah Naidu shared his concern during his address to eminent academicians and top leadership of Business Schools and said, “The regulatory framework for MBA/PGDM Programmes was introduced in the 1990s which was based on the context of the business environment prevailing during the pre-liberalisation period. Post-liberalisation, the Indian economy has radically changed from being a manufacturing economy to a global economy with the dominance of the service sector. The B-Schools‘ Leadership Conclave 2019 – “Business Education 4.0: Futurizing Indian Business Schools” was held on 27th & 28th February organised by the Education Promotion Society for India (EPSI) in New Delhi where, Hon’ble M. Venkaiah Naidu was the Chief Guest. Vice President also urged that business ethics and values be included in the curriculum to avoid unethical business practices which has been witnessed in the recent past. Dr. H. Chaturvedi, Alternate President EPSI and Director BIMTECH in his welcome address spoke about EPSI and greeted the top leadership of management schools of India and dignitaries present. President of EPSI, Founder & Chancellor, VIT, Dr. G. Viswanathan, set the context in his opening speech highlighting some of the challenges faced in the education model specially higher education. Amit Agnihotri, Founder, MBAUniverse.com, talked upon quality improvement frameworks and the various accreditations, multiple ubiquitous rankings present for management institutions in the country. Dr Jitendra K. Das, Director, FORE School of Management pointed out the huge gap in quality, governance, accountability and funding in the Government run K12 schools compared to the Government run higher education institutes – IITs or IIMs, which were specifically kept out of the university system for better quality purpose. He mentioned the need for autonomy, better policies and a “massive change” when it comes to higher education. 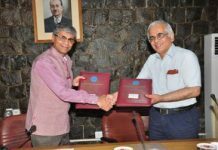 Talking about the changes required to be introduced in the curriculum Dr Anil Sahasrabudhe, Chairman of AICTE in his brief assured the business schools of autonomy and training required to be given to the academicians. He said training programs for teachers has already been initiated and once the batch undergoes successful training they shall participate in train the trainer programs training other teachers. Dr. Sahasrabudhe also shared how Business schools will be categorized in three different levels based on the performance parameters and they shall enjoy autonomy accordingly. While Category A shall enjoy full autonomy which is very similar to IIMs, Category B will have certain degree of autonomy, may be in terms of designing the programs or recruitments while Category C will be governed by AICTE. Host of senior leaders from top B Schools were present in the conclave along with industry leaders and HR practitioners and delegates from across the country and abroad. Prof Eric Cornuel, Director General & CEO, EFMD & EFMD GN; Amy Memon, Manager – Accreditation Services (Asia Pacific), AACSB, Mumbai; Prof Ulrich Hommel, Director, Business School Development, EFMD GN represented the quality process and well known international accreditations bodies. 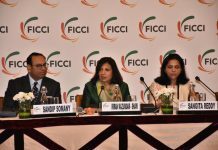 Eminent speakers and thought leaders from corporate and HR present were – Venguswamy Ramaswamy, Global Head, TCS iON; R Anand, Sr Vice President, HCL; Mandeep Kaur, Strategic HR Leader, IBM HCL Technologies; Madhumit S. Dixit, Sr. V.P, HCL Technologies; Neeraj Narang, Director, HCM Strategy; Naveen Goyal, Founder & CEO, NoPaperForms and Dhananjay Singh, DG, NHRDN.